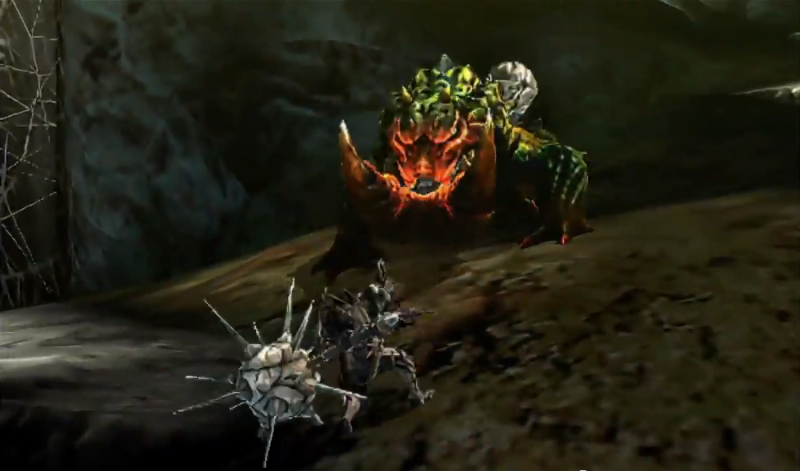 The Berserk Tetsucabra is a new monster in Monster Hunter 4 Ultimate, encountered at G rank! 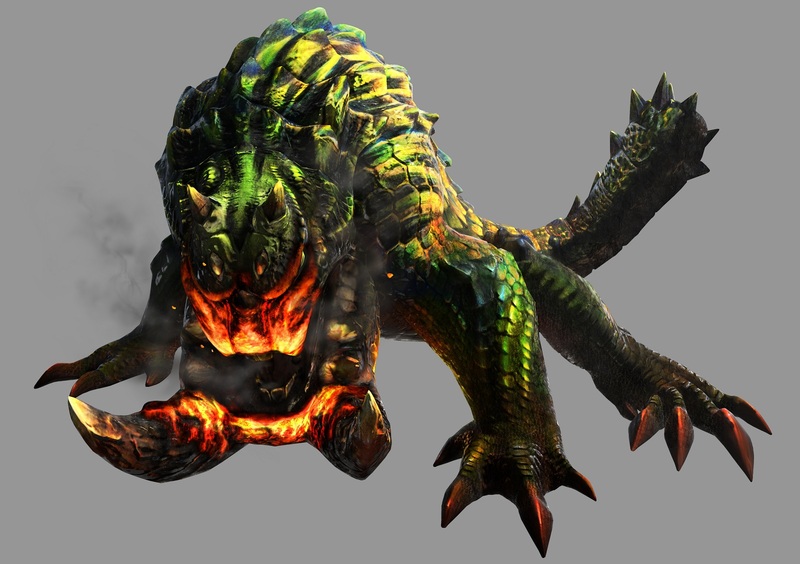 The Berserk Tetsucabra is a frog-like monster with a dark green body and a face tainted brown by the explosions of the rocks it destroys with its powerful jaws. It’s weakest to ice, followed by thunder, and its back, back legs, and jaw are all breakable; the jaw breaks twice, one for each tooth. 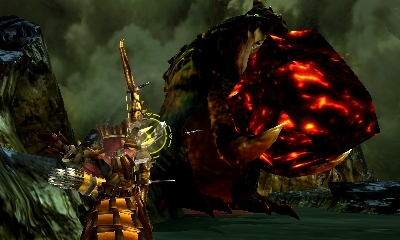 The Berserk Tetsucabra uses its powerful jaws to pick up and throw boulders around. It can fling them across the map to hit the hunter for quite a bit of damage. The rocks can also be stood up, and will fall after a short time; these rocks will get smaller with each tusk that you break. It can even pick them up and carry them around for a while, before crushing it in its jaws and sending rocky debris flying everywhere. If you make it flinch while it’s holding a rock, it’ll drop a shiny for you. 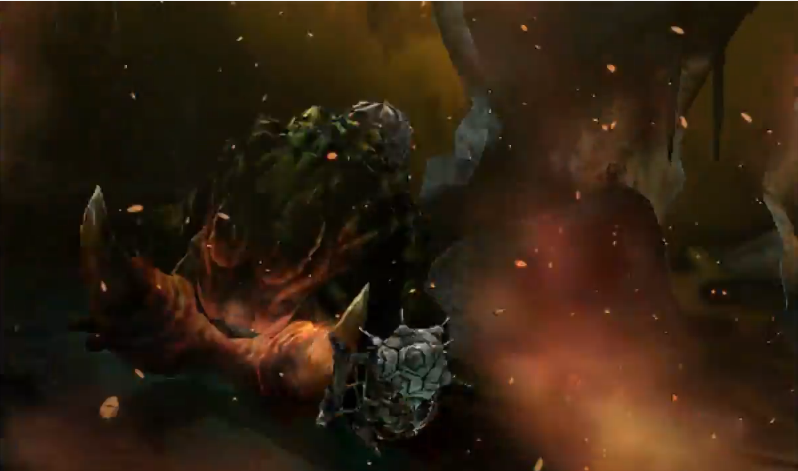 This monster can fire a projectile across the map which will drop your stamina to zero. It likes to follow this up with a rock throw, or by jumping on top of you for loads of damage. It can also lunge forward, dragging its jaw across the ground and ramming into the hunter. The Berserk Tetsucabra is much more aggressive then the other species. The other would rest often; this one does not. Something to watch out for is the end of its tail; sometimes it will puff up, turning from a brown colour to grey. When this occurs, the tail becomes the weakest part of its body and can be attacked for massive damage. Next week we check out the Tigerstripe Zamtrios!